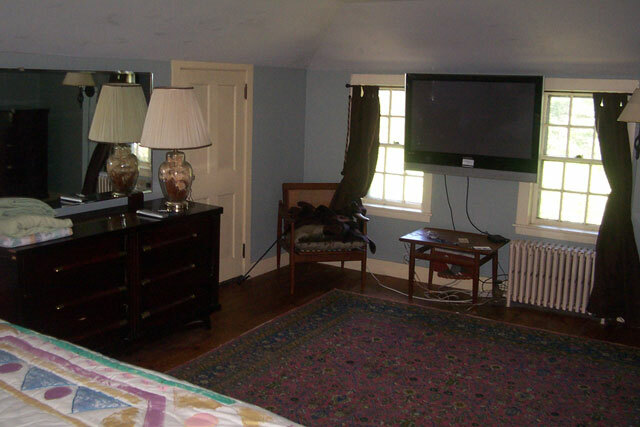 The Carriage House offers a unique experience for families and groups within proximity to UNH. 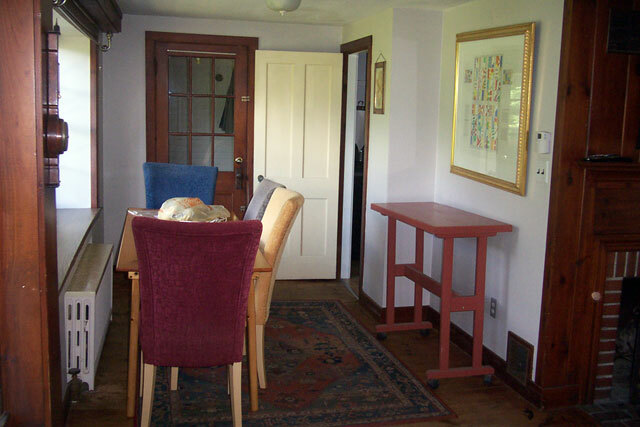 Located on the property of The Pines Guest House, the Carriage House is ideal for scholars and visiting professors with families who are here at UNH for several months. The 1600 sq. 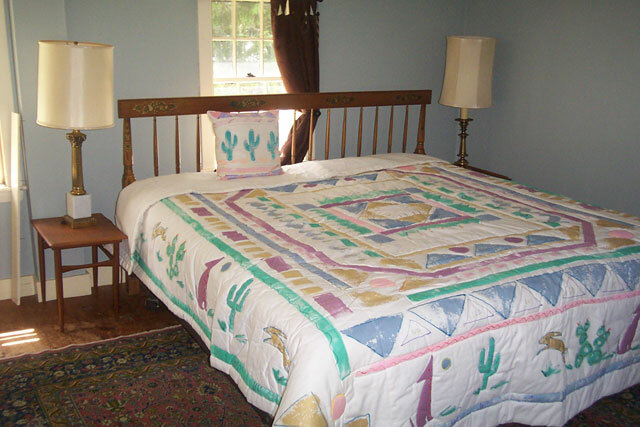 ft. Carriage House comes fully furnished, including linens for the bedrooms and cookware for the kitchen. The two-story dwelling includes a large living room, dining room and kitchen on the first floor. 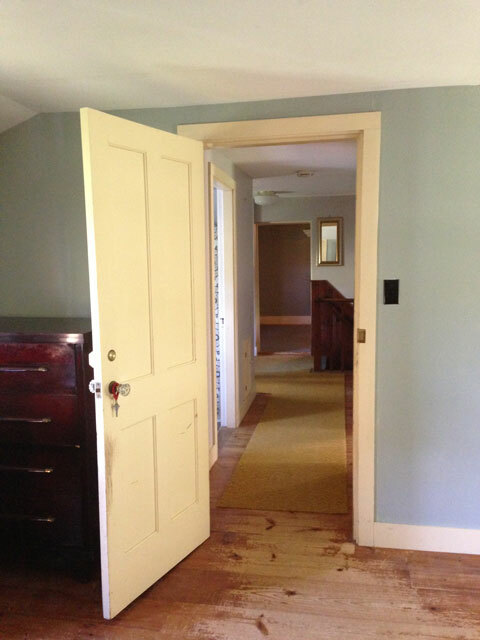 The second floor has 3 bedrooms (or 2 bedrooms and an office) and a full bath. 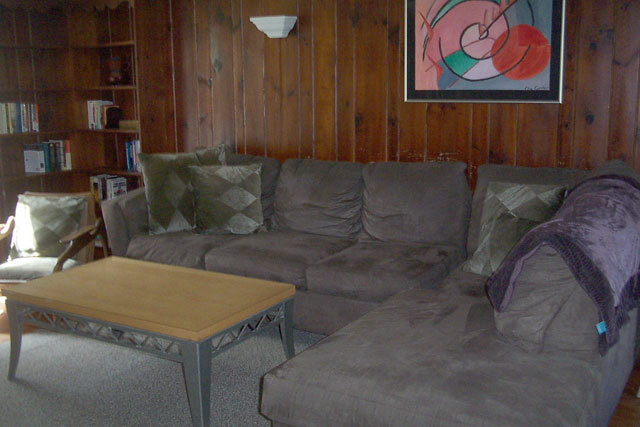 The entire house is Wi-Fi accessible and includes 2 flat screen TVs. Minimum of one month rental. Rental rate is $1899 per month plus heat, rate negotiable depending on period of stay. Occupancy for less than 6 months is subject to a 9% state tax. Security deposit required. 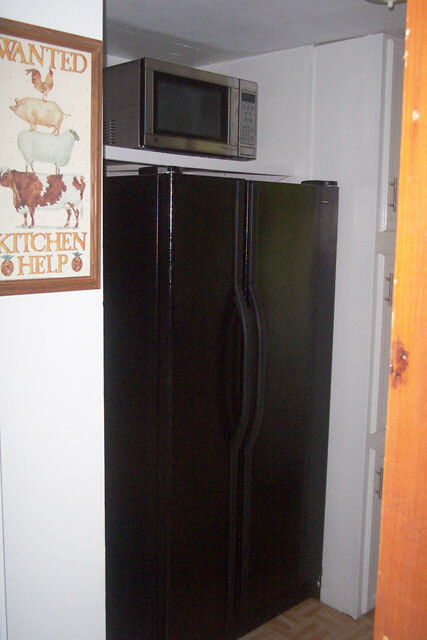 All utilities besides heat are provided including hot water, electric, cable TV, and internet service. 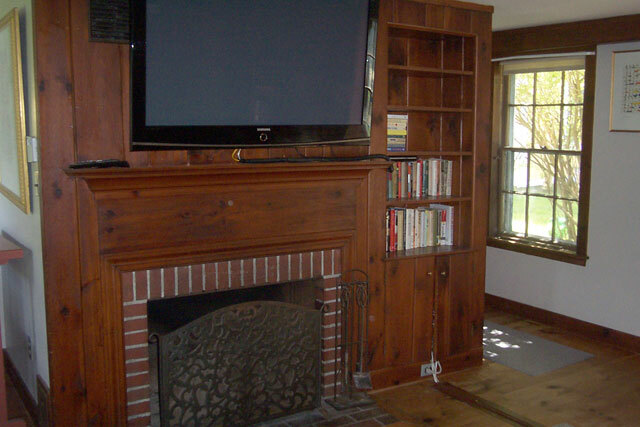 The living room has a large comfortable sectional couch and coffee table in addition to a 50-inch wall mounted TV and working fireplace. 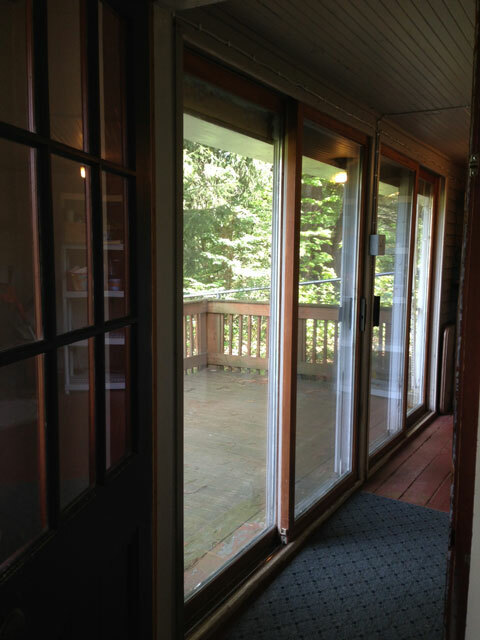 The dining room has a large picture window overlooking an enclosed back yard and deck that is accessible through an enclosed porch with sliding doors. . The kitchen is efficient with new appliances including a glass top stove, side-by-side refrigerator/freezer, microwave and dishwasher. 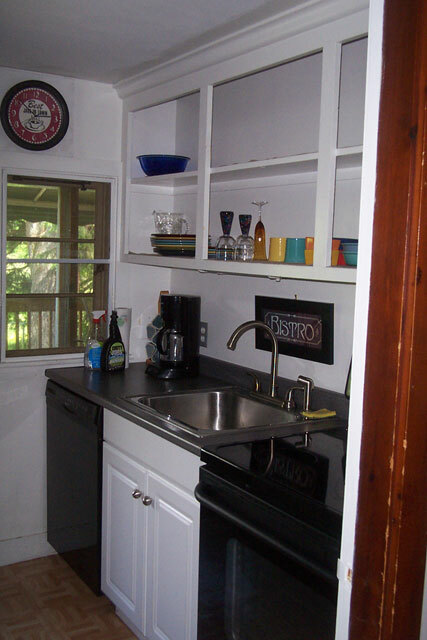 Cookware, dishware and silverware are all included. 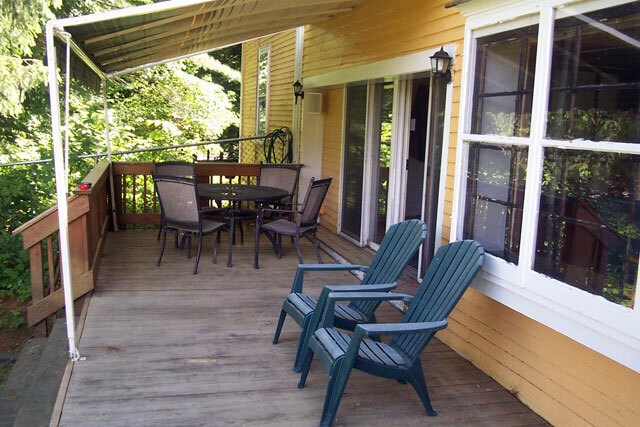 The deck provides a perfect way to enjoy a breezy summer afternoon. A seasonal SunSetter awning provides shades over one side of the deck just over the table and chair set which makes for a perfect setting for an early evening meal. 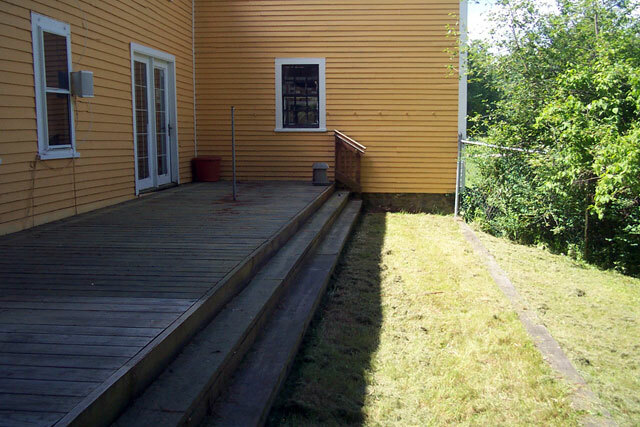 The deck spills out into the enclosed yard, where trees and shrubs provide natural privacy from the outside world. The spacious master bedroom room holds a King size bed and two bureaus, end tables and a wall-mounted 42-inch flat screen cable TV, all included. Two closets provide additional storage. 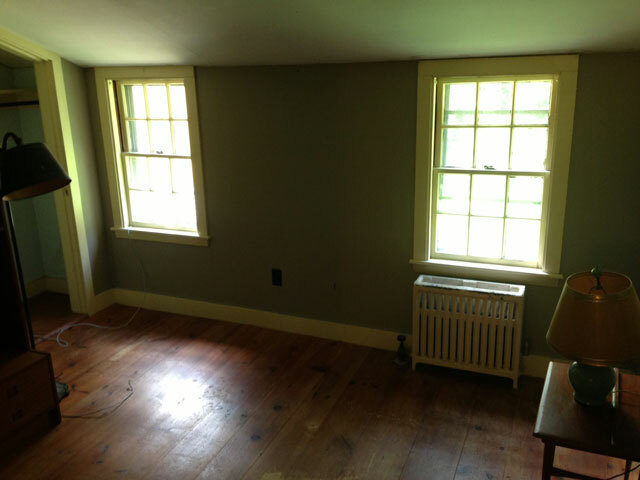 The smallest of the three rooms upstairs features two windows overlooking the circle driveway, book shelves for storage and a closet. This makes for a perfect office or smaller bedroom. and can be configured as needed. 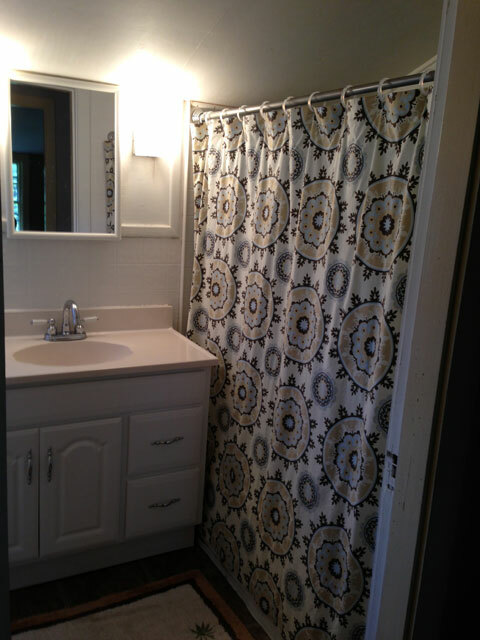 There is a single bath located on the second floor featuring a tub/shower, 36" vanity with storage, and medicine cabinet with mirror.